Desalination giveth and taketh away — at least typically, due to its drain on energy-related resources (including water itself). But there is a better, smarter way. When it comes to future water supplies, arid regions and states are constantly looking for solutions. And much of the country’s population growth is happening in the Western and Southwestern states, regions that are prone to dry conditions under the best of times and have only recently been coming out from the shadow of drought. To compound the issue, climate models predict drier, hotter conditions in these states. Naturally, these areas are turning to desalination — a proven water supply technology. But there is a hidden cost to desal: energy. Lower-quality brackish groundwater supplies require expensive and energy-intensive treatment prior to use. In fact, the most common process consumes approximately 10 times as much energy as traditional surface water treatment. To illuminate desal’s high energy-intensity, take Texas: The state only desalinates 2 percent of its municipal water supply, but this small proportion represents nearly 10 percent of public water utilities’ statewide power demand. Then there’s the vast amount of water needed to create that energy in the first place. Roughly 90 percent of the power generation in the U.S. is from fossil and nuclear energy sources, which use a lot of water to produce and deliver energy. For example, power plants in Texas consume roughly 157 billion gallons of water annually — enough to meet the needs of over three million people each year. By using water-intensive electricity to power traditional desal, we are using water to make water, which makes little sense in our drought-ridden Western U.S. If desalination is to play a role in protecting our water, we need to create plans and policies that are thoughtful about reducing the technology’s energy footprint. Both Australia and Israel have integrated energy use and pollution impacts into desal planning. In response to water shortages, Australian cities have turned to seawater desal, which is even more energy-intensive than brackish desal. As a result of public concern over high energy-use and pollution, desal facilities in Perth and Sydney constructed policy and business agreements to conceptually couple grid-connected wind farms to offset the desal plants’ carbon emissions. 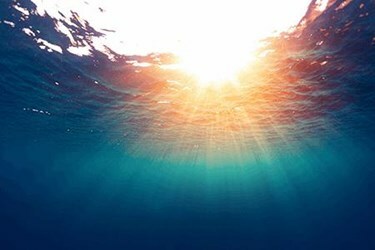 And within the last few years, wave energy-powered desal has come online in Western Australia. Israel, which gets up to 75 percent of its potable water through desal, has spearheaded some of the most energy-efficient desal technologies available. The country is home to some of the world’s biggest desal plants, which use tools like on-site power generation and smart, flexible pricing to keep energy-use efficient. These are the innovations of the future: coupling desal with low-water renewable energy, like solar and wind, and more energy-efficient desal processes. Pairing renewable energy with desal, in particular, presents an opportunity to transform low-value products (brackish groundwater and intermittent electricity) into a high-value product (treated drinking water). By integrating renewables with desal, the two sectors might be able to help mitigate each other’s challenges. For example, the high energy requirements of the desal process are a major cost factor and potential limitation of its deployment. 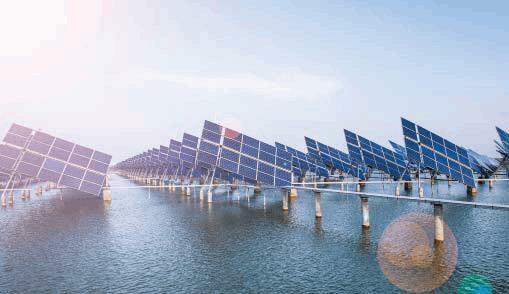 Powering desal with wind and solar photovoltaics (PV), both of which have very low marginal energy costs and use negligible amounts of water, allows for freshwater production from low-water fuel sources with predictable energy costs. And since many desal plants can be operated intermittently or with prescribed rampup periods, the water sector can take advantage of the variable availability of renewables. If desalination is to play a role in protecting our water, we need to create plans and policies that are thoughtful about reducing the technology’s energy footprint. The 2015 Texas Legislative Session passed a bill that required the state to analyze using solar and wind to desal brackish groundwater on state-owned lands. The study, conducted by the Webber Energy Group at the University of Texas at Austin, found many areas had brackish aquifers and wind and/or solar potential. From the 1,445 sites studied, 193 were technically feasible as well as economically — i.e., the estimated cost of water produced by desal was not higher than the local water price. Further, the study’s authors conceded that many more sites could potentially be viable if weighed against future water scarcity under climate models, which were not used here. And, if the price of solar continues to drop — as it is expected to — more sites could become feasible. Solar power could be crucial to desalination’s future. Another interesting component of the study found that many oil and gas operators are located near the state-owned sites in the study, and those operators typically pay much higher prices than wholesale water prices. Desal plants potentially could sell water to the companies at a lower price, creating a new revenue stream associated with these sites. The next step in the process is to start piloting one or more of the identified sites and begin developing renewable-powered desal. Drought-ridden regions and states have to think creatively about how to support growing populations in areas with less available water. Conservation must always be the first step, but innovative water supply technologies are also part of the solution. Desal is not a new process, but it is an energy — and water — hog. If we thoughtfully think through the integrated approach of low-water energy and water supply, we can work for a sustainable future. Kate Zerrenner leads the Environmental Defense Fund’s Texas and national energy-water nexus efforts, as well as develops and implements strategies to promote energy and water efficiency in Texas. While breaking down financial, regulatory, and behavioral barriers, Kate works to advance clean energy options that reduce climate change impacts, water intensity, and air pollution.